Well, things are starting to heat up down on E Street. 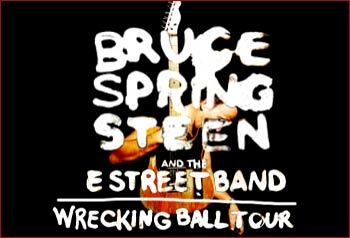 A lot of you have been hearing that Bruce Springsteen and the E Street Band will be on tour in 2012. That is absolutely correct. Here's the European itinerary. Info on the US dates and the World tour dates will coming up shortly. In addition, we want you to know that the music is almost done (but still untitled), we have almost settled on the release date (but not quite yet), and that we are all incredibly excited about everything that we're planning for 2012. That's all the info we have for right now, but we'll get back to you -- real soon.